Dell has revamped its Inspiron line with the “z”, which is associated with Dell’s ultra-portable line. Currently available in Diamond Black and Lotus Pink, I was passed a copy for review. With a 13.3″ 1366×768 LED screen, the Inspiron 13z weighs 1.76kg and less than an inch thick. 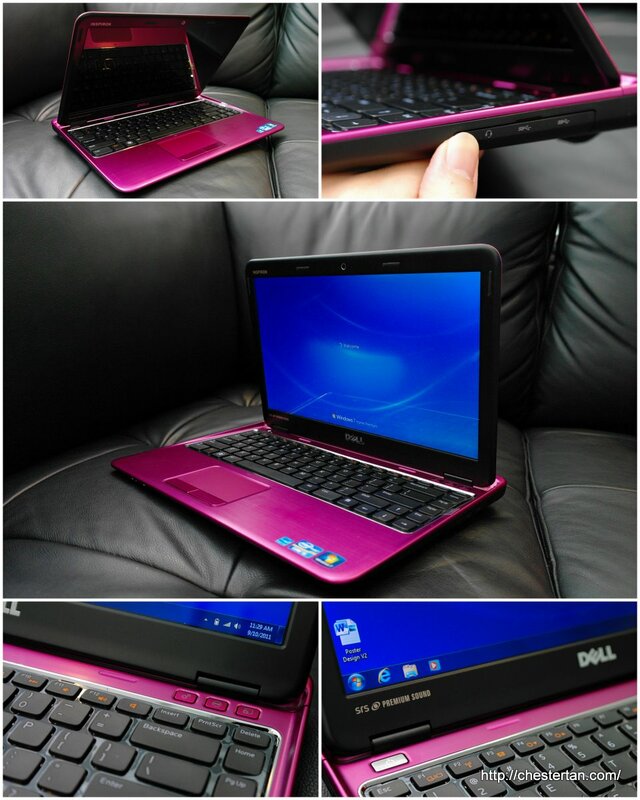 I really like the colour of the limited pink edition review unit, which is like dark magenta in real life. I like it because it is eye-catching without looking too gaudy. The size is also quite right for a portable laptop, but you sacrifice a lot of connectivity options compared to the usual 14-inch models. All ports, except the AC charger, have covers. Built with the latest Intel Core i processors, the Inspiron 13z battery life per charge is pretty good. For non-processor intensive activities like web surfing or word processing, you can get almost 10 hours with the 6-cell battery. When running apps that utilise the processors, like watching high-definition videos or photo editing, battery life expectancy drops to about 5 hours. I like how the 13z sleeps and wakes up quite fast. The pre-installed software, Dell Stage, helps you to access multi-media content easily without having to go through the various folders. Dell DataSafe offers you backup and restore to local or online storage. Three hardware buttons at the top right of the keyboard provides instant access to common settings, online help, and configurable shortcuts. You can use the built-in webcam to log in using facial recognition. My daughter is attracted to its colour and webcam app. The audio quality has been optimised to provide crystal clear sound. The 2 tiny speakers placed at 2 edges below the laptop delivers good stereo imaging. Dell has mindfully removed any trace of bass, which was unfortunate, but probably for the better, since there is no way for small laptop speakers to deliver any kind of oomph lest you risk audio distortion which happens to a lot of other laptops. Not as many ports as the larger laptop models. The Dell Inspiron 13z is a head-turner, just like the XPS 15z I reviewed a while back. It’s unique selling points are the striking colour, premium-looking minimalist design, thin and lightweight. But I find the keyboard difficult to type, nor is the touchpad responsive for multi-touch gestures. The laptop also lacks many connectivity ports that we are familiar with in 14-inch laptops. I won’t give high marks for overall usability but I’m sure sold by its design and quality.